One of my goals while living in Beijing is to see everything!! Or a least a lot! Since I have no idea how long we will live here, (somewhere between six months and forever, if I had to guess) I am trying to do as much as possible, as soon as possible! 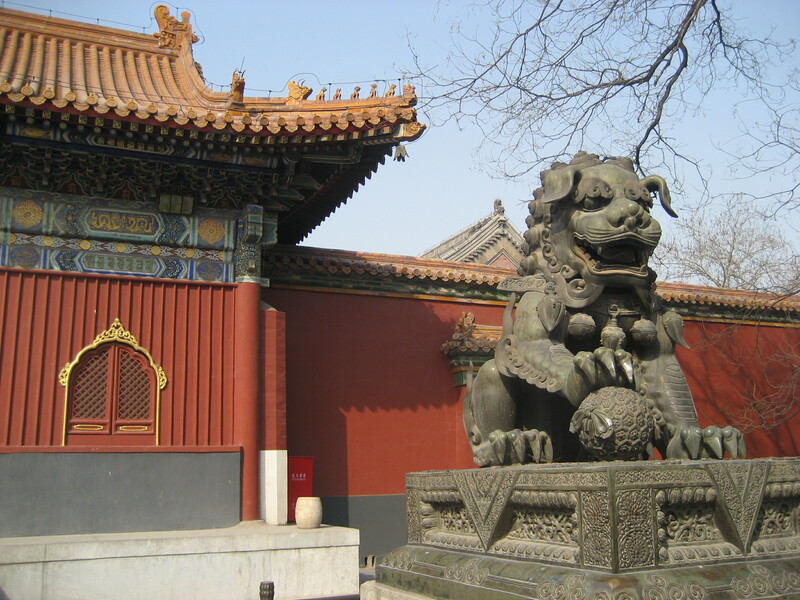 Two of my favorite sites are Song Qingling’s Former Residence and the Capital Museum. Song Qingling (1893 – 1981) was one of the Chinese Cushing/Miller sisters of her day. Her family must have been pretty wealthy, as all their kids were educated in the US, and there are photos of Qingling playing tennis in Georgia. She rose to fame as the second wife of Dr Sun Yat-Sen, the widely revered founder of the Republic of China who was 26 years older than she was. Scandalous!! Her sister married Chiang Kai-shek. After WWII, Qingling sided with The Communists, eventually becoming the honorary president of the PRC. Her sister became the first lady of Taiwan. The Communist Party gave here this house in 1963. From the street is it not very impressive, but behind the gate is a magnificent garden (even in winter) and a lovely former palace. It was good to be a high level party member… and probably pretty nice to be tucked away in this little paradise while the Cultural Revolution was going on outside her walls. Definitely think there is a novel waiting to be written here! My visit to the Capital Museum was another eye opener. The building is huge and very cool… tons of open space and beautifully displayed exhibits. And the stuff is so perfect and exquisite. I was the only westerner the day I went and was constantly being stared at by little kids who found me way more interesting than the porcelain and Buddha’s they were supposed to look at. They would tug at their parent’s coats and then point at me and laugh!! And when I’d say Ni Hao (hello! ), which I am pretty good at, they would squeal or hide their faces. The bathrooms had two rows of toilets, one row with three standard western toilets and one row with what I call Turkish toilets (the hole in the floor type). Naturally, my first choice was the western style. But when I opened each door I found a worker sitting, quite comfortably, feet propped against the wall chatting away with the person in the next stall…Maybe it was coffee break time and these were the best seats! They wouldn’t budge for me, so I used the Turkish style! Later, I met my Chinese teacher at the university where she is getting her degree. A far cry from the Ivy Covered Halls one likes to picture. The classrooms must have been built in the 50’s and were definitely in the Stalinist style of architecture… huge and ugly. And freezing cold. I was so grateful to be wearing my big fur coat. All the kids were wearing their parkas, in the library, in the classrooms and in the cafeteria! Once again, I needed the loo (this time all Turkish) and was shocked to see that no one flushed… I, of course, did flush but didn’t jump high or fast enough. Flushing lets off a huge cascade of water that soaks your shoes as it rushes past! Probably why no one else bothers! Live and learn.